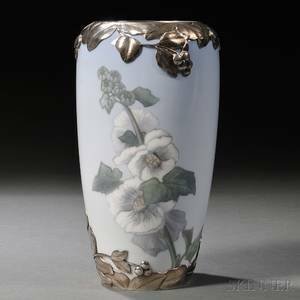 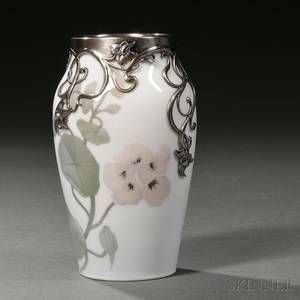 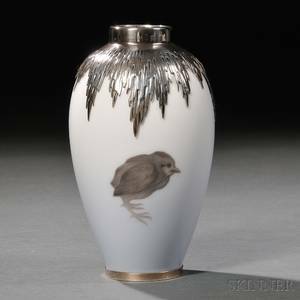 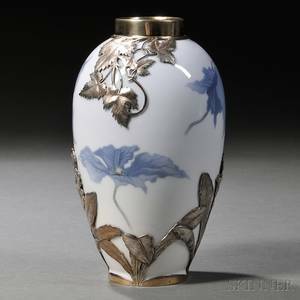 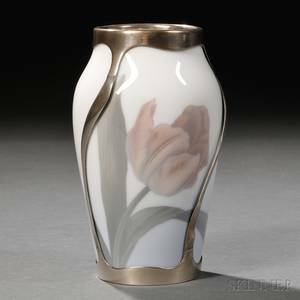 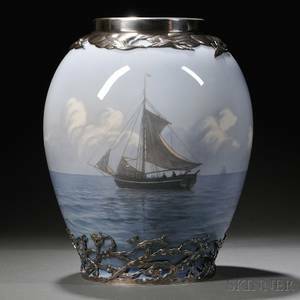 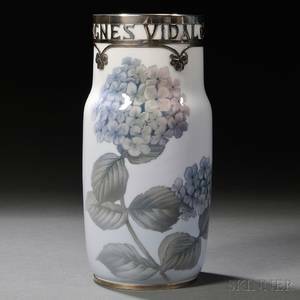 Royal Copenhagen Sterling Silver-mounted Porcelain Vase, Denmark, c. 1915, decorated with nasturiums and silver mounted with an Art Nouveau-style foliate and floral rim, factory marks and hallmarks, ht. 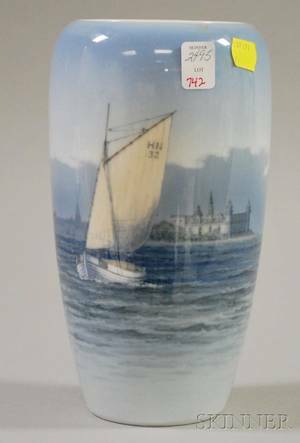 5 1/8 in. 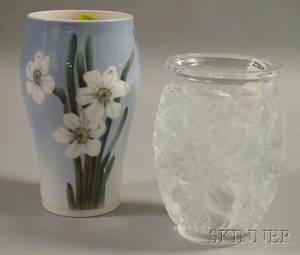 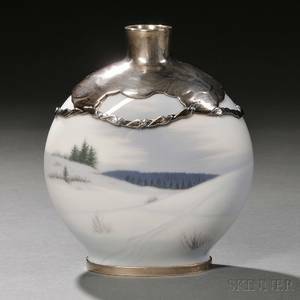 Royal Copenhagen Birch Landscape Porcelain Vase and Two Plates.